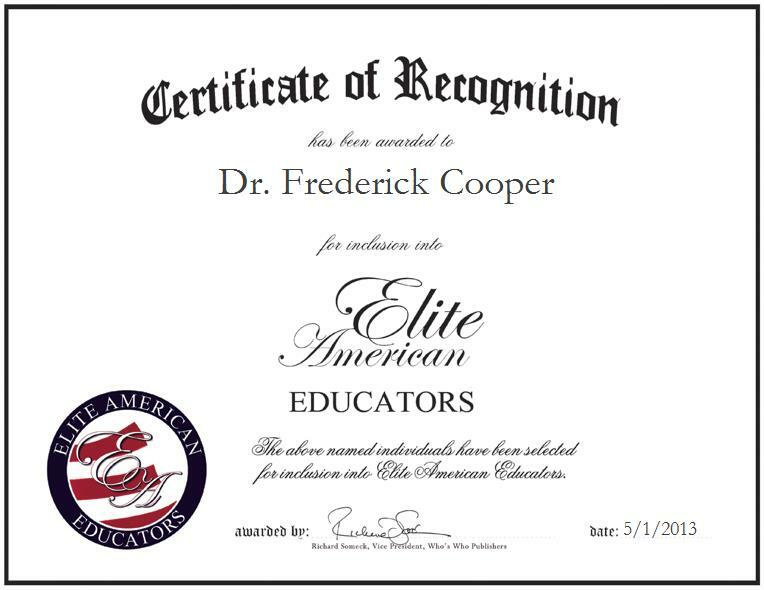 Frederick Cooper is a Mathematics Instructor for Spartanburg Community College. In his current capacity, Dr. Cooper makes the most of his mathematical expertise, proficiently teaching various mathematics courses to the students with whom he works on a regular basis. Dr. Cooper served as the principal investigator for The Louis Stokes Scamp Program in 2006. He also helped with the acquisition of funding for the program on his campus. In June, 2013 he will be the Associate Dean of Math, Science and Engineering at Kankakee Community College. He coincidentally pursued his current career path after switching from a major in engineering to mathematics while attending school, as he had maintained a long standing love of math. He earned a Master’s Degree in Science and Mathematics from the College of Charleston, and a Ph.D. in Educational Leadership from Clemson University.